Bells of Lazonby baking apprentices have designed their own amazing cakes, from start to finish. The level 3 apprentices undertook the project in connection with Kendal College. 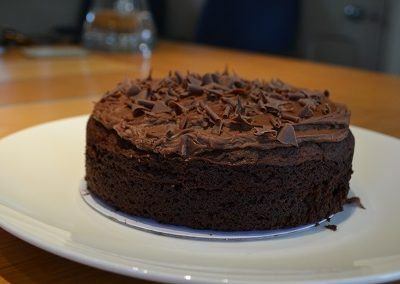 Beth, 22, Danny, 22, Debbie, 23 and Jake, 24 – are all keen young bakers at Bells of Lazonby and have completed the L2 Baking apprenticeship course, where they learnt key skills in baking from tutor demonstrations. Their new brief was to design a beautiful looking cake, with a suitable shelf life for a supermarket or cafe counter. They also had to work out all their costings and key commercials for their projects. The students trialed their finished creations on the production line with the help of their colleagues in the bakery. They then presented their work to the Bells & Kendal College Directors in a Board room meeting to pitch their products. 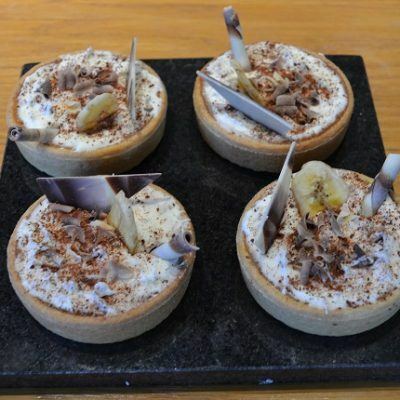 Michael Bell, Managing Director, said: “I was a little worried that some of the group would be nervous when presenting, but they all did very well and showed great depth of knowledge of their products and how they would work in the bakery. 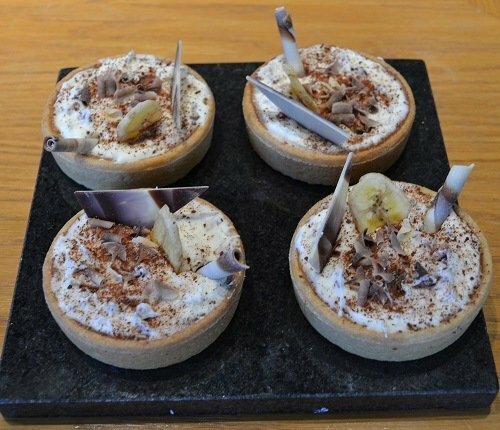 Some of the cakes produced included Debbie’s eye catching Banoffee tarts aimed at premium coffee shops, as well as Jake’s Raspberry & Pistachio Round Cake, also great for cafes. 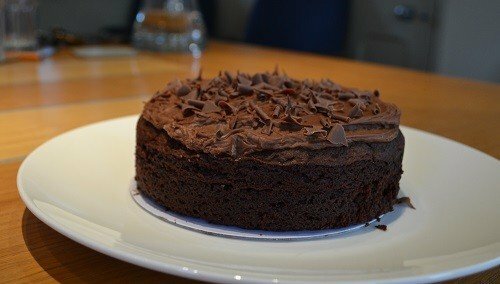 Danny’s Chocolate & Orange cake was among other delights which were aimed at being more suited to the retail market. The tutors from Kendal College – Susan & Julie – said that they were very proud of the students and were sad to see them go. The students are now looking ahead to their future and have already received promotions within the business.